This 4M solar-powered robot is compact yet multifunctional. It climbs along clothes lines, walks under sunlight and can be transformed in to a cool solar vehicle. 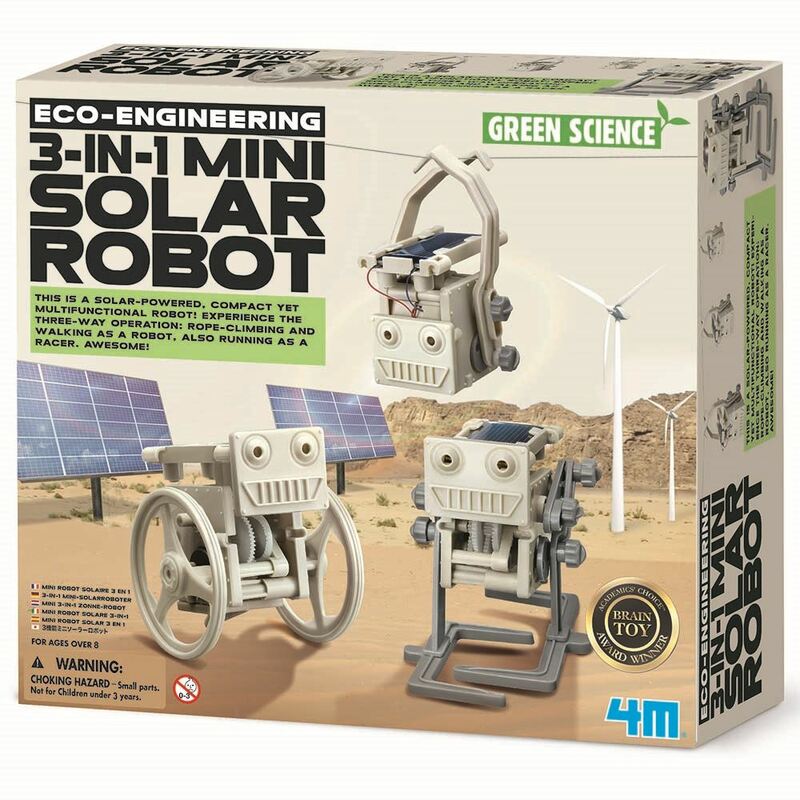 Includes: 2 hooks, faceplate, baseplate, 2 wheels, 2 arms, 2 feet, 2 legs, 8 connectors, solar gearbox, motor with wires, solar panel, accessories and detailed instructions. Required: a small crosshead screwdriver (not included). Age 8+ years. Part of the Eco-Engineering range. Distributed in New Zealand by Holdson.